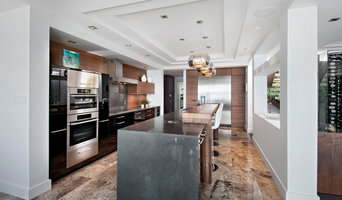 Design First is the most awarded residential interior design firm in Ottawa. Since 1986 Design First has become known for their creative ability to respond to client’s needs in a uniquely personal way. Our mission has always been to enhance quality of life with our design skills. Please call us to see how we can bring Design to your Life! 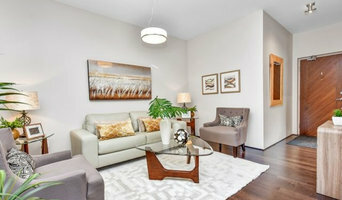 Ottawa's Staging, Design & Renovation Professionals Best of Houzz 3x! Whether you're looking for accents and accessories or a complete renovation design, the Astro Design Center can provide you with creative, and unique options for your kitchen & bath. Top quality brands, exclusive lines, professional service and seamless integration all come together with stunning results and exceptional value at the Astro Design Center. It all awaits you at our inspiring, all-in-one showroom. Come see the dazzling possibilities and dare to dream out loud. Our designers are hard-working professionals, who have graduated from Interior Design at Algonquin College. Although, our designers do have their signature styles, they can cater to any style and work with your budget. 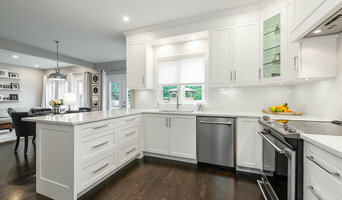 A fourth generation, family run business with over 60 years of design and build experience, OakWood Renovation Experts specializes in high quality renovation projects including kitchens, basements, bathrooms, sunrooms, in-law suites, additions and large scale renovations. A company of many firsts OakWood is Ottawa’s only Mike Holmes approved renovator, the only Ottawa Renovator to win the prestigious Consumer Choice Awards for Best Home Designer and Best Home Renovator every year since they were introduced in 2008, and the only Ottawa renovator to win the coveted award for Marketplace Trust twice from the Better Business Bureau. Ottawa's Innovative Architect | Best of Houzz! Imagine a home that is unmistakably yours – innovatively designed exactly to your requirements, expertly constructed to your specifications, and efficiently and cost-effectively delivered to your complete satisfaction. That, and so much more, is exactly what you get through the Amsted Advantage. Whether it’s a custom home, a full-scale renovation or addition, or just some general repairs and maintenance to keep your home looking beautiful, the Amsted team works closely with you to create inspiring, comfortable, functional spaces. Kitchens & Bathrooms First specializes in the design, specification, and complete renovation of kitchens & bathrooms. Our proven process can take your remodeling project from concept to completion, seamlessly and stress-free, under one roof. Established in 2002 this family owned and operated business has grown to incorporate a beautiful modern kitchen and bath showroom in Ottawa, and professional staff of interior designers, craftsman, project managers and administrative personnel. Handwerk Interiors specializes in the detailed craft of custom furniture making, planning and design.In our studio and workshop we create custom kitchens, vanities,media centres, home offices and furniture that merge traditional craftsmanship with contemporary design. Our clients as well as architects and interior designers appreciate the quality, care and attention to detail that is the handwerk hallmark. Our organization has been in the cabinetry business for over 40 years. Kitchencraft is committed to providing its consumers the best overall solutions. We provide you great quality products, shipped on-time, shipped complete, meet or exceed your expectations, and that are competitively priced all backed by a Limited Lifetime Warranty. At Kitchencraft, we offer a large portfolio of brands, with a large assortment of styles and finishes. Beautiful , functional showroom and selection center serviced by a dedicated local team of experienced professionals. We have a dedicated professional service team supporting communication between local operation, manufacturers, suppliers, shippers, and installers and our CUSTOMERS. With nearly 20 years of renovation experience in Ottawa and the Ottawa area; ARTIUM Design Build (formerly HOME Inc. Design Build Renovations) can bring your renovation wishes to reality. Our expertise is an exceptional design and build renovation process. Our goal is an unparalleled renovation experience and a very happy customer. Award winning renovation design, outstanding customer service, life-long customer relationships....this is what Artium. is all about. At Artium we are very aware that you need to find out who we are. The same goes for us; we need to get to know you. A renovation, design build project is an intense relationship over a short period of time. Regardless of how long your project might take; you will be bringing us into your home, into your family, into your life. We understand this. We are aware of how important it is for this project to be a great project. Our design build process is like no other renovation experience you might find. We take our time getting to know you; we ask questions and we listen, really listen to what you are saying. We follow tested and true systems to ensure your renovation is an exciting, rewarding and positive experience. It is important that you get to know us, and trust us, so that we can be the renovators you need us to be. And equally; it is vitally important that we get to know you, so that we can craft your project design and the subsequent renovation to suit you, your home and your family. ARTIUM Design Build is the upper level division of Just Basements (www.justbasementsottawa.ca), The World's Best Basement Company! Exceptional Design Build Renovations since 1999, now under one roof! 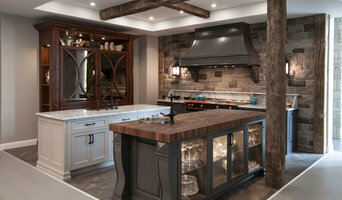 Ottawa's Leading Cabinet, Kitchen & Bath Designer 2x Best of Houzz! We are an Ottawa-based design and build company. Grassroots focuses on urban, residential design and small-scale renovations. Our specialty is small spaces and older homes. We deliver beautiful living spaces designed for every lifestyle and every wallet. At Grassroots, we know renovating isn’t always fun, but we are! So whether this is your first time working with a designer or you’re a seasoned vet, we strive to make you feel comfortable from start to finish. We know renovating isn’t always fun, but we are! So whether this is your first time working with a designer or you’re a seasoned vet, we strive to make you feel comfortable from start to finish. At Grassroots, we never forget it’s not just a job — you’re inviting us into your home. Our projects aim to make an impact on our clients’ homes, not on the environment. Grassroots designer, Emma Doucet, won Canada’s House and Home Magazine Best Budget Bathroom 2009 and was named as a Green Designer to Watch by Ottawa Magazine, September 2012. 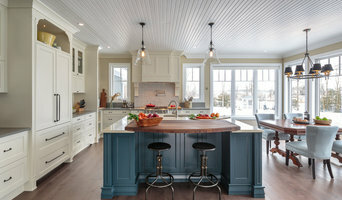 Emma was also featured in Ottawa Magazine in 2014 for a client's custom traditional kitchen and was also featured in City Home Magazine in February 2016 for a decor article. If you are looking to transform your kitchen and bath into an environmental friendly work of art, give us a call at (613) 878-6091 or click the "Contact Me" button to send us a message. We look forward to working with you!